Pre-moistened pads are veterinary preparation specially developed for routinely cleaning and drying ears of dogs and cats. Caution Keep out of children. For external use only. Keep away from eyes. In case of eye contact rinse with water. 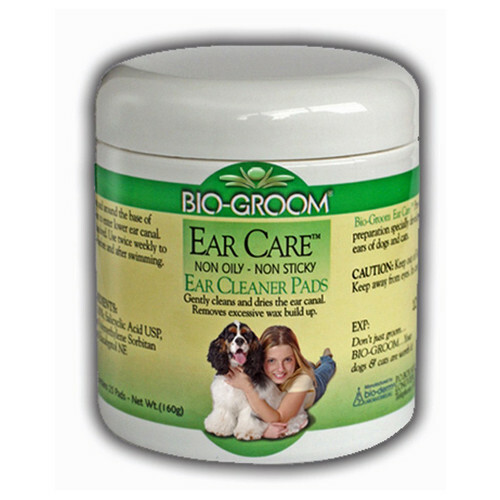 Thoroughly clean inside ear and around the base of the ears. Squeeze Ear Pads to allow lotion to enter lower ear canal. Gently massage ears until dirt and wax are dissolved. Use twice weekly to reduce ear disorders and keep ears clean. Use before and after swimming.